We offer on-line support through a list-serve. People share questions and concerns about various aspects of providing services. The list is open to all RID members. Join the listserv by adding the ISM Member Section through your online RID profile. I was born in Indianapolis, Indiana. I have a degree in American Sign Language from Vincennes University and attended Indiana University/Purdue University in Indianapolis (IUPUI) for Interpreting. I spent 20 years as an educational interpreter and the past 5 years as the Director of Rauch Interpreting Services in New Albany, IN. I am state licensed in Indiana and Kentucky and I have been nationally certified since 2006. I served 10 years on the Indiana Chapter of RID (ICRID), including two terms as ICRID President. I was co-chair of the 2004 RID Region III Conference in Indianapolis and served as a Committee Chair on several state, regional and national committees. I have been the previous Chair of two RID Member Sections and I am honored to serve as Chair for the IMS. I graduated from University of Northern Iowa with a B.A. in Business Administration: Management, afterwards I graduated from Saint Paul College in Minnesota with a degree in Sign Language Interpretation/Transliteration. My interpreting career has included the following environments: education/theatre, chemical dependency, medical, and corporate. 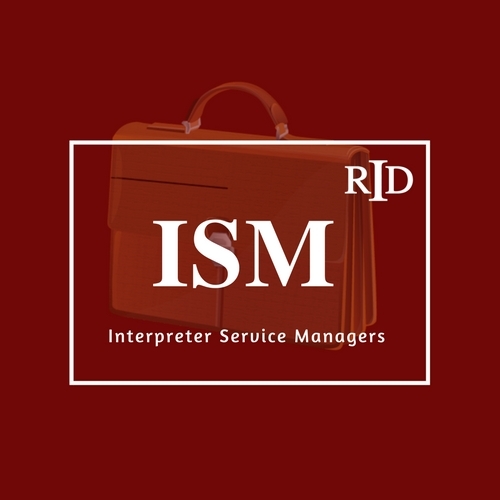 As an Interpreting Services Manager, my tenure includes two organizations in Minnesota. I am currently working with Intelligere, Inc., a full service language agency (ASL, Spoken Language, and Document Translations) as the ASL Director. I have served on the RID’s local chapter level in various positions over the years. I was the Treasurer for four years and have been leading the MRID Transition Team since Fall 2016. Thank you for allowing me to be a part of the ISM group; I look forward to connecting with everyone during various conferences, meetings, and listserv threads. Feel free to reach out with any questions. My e-mail address is MMittelstaedt@intelligeresolutions.com. I graduated from the Honors Program at Valencia College with an A.S. in Business Administration and am currently completing my B.A. in Business Administration with Western Governors University. I worked for a Sign Language agency in Florida for 19 years, during which I worked as Scheduling Manager, Director, Vice President and then COO; growing the company from 3 employees to over 160 as well as 7 contractors to over 600 nationwide. I currently work as an Account Executive with Communication Service for the Deaf in the Vineya for Agencies Department, supporting software and processes to support interpreting agencies and businesses and the Deaf consumers they serve. I have lived and breathed the agency environment for 20 years and ISM is one way I can continue to serve and support them! My contact information is as follows: vleboss@csd.org.